A few months ago I shared wrote a review about this amazing cookbook, Not Just Tacos. The thing I love most about this cookbook is that it not only provides amazing recipes but also an educational journey around Latin America. As part of the launch team for Not Just Tacos I received an additional copy to giveaway and have been patiently waiting for the perfect time. Well thanks to the #InspiredFamilyDinners campaign that time has come! 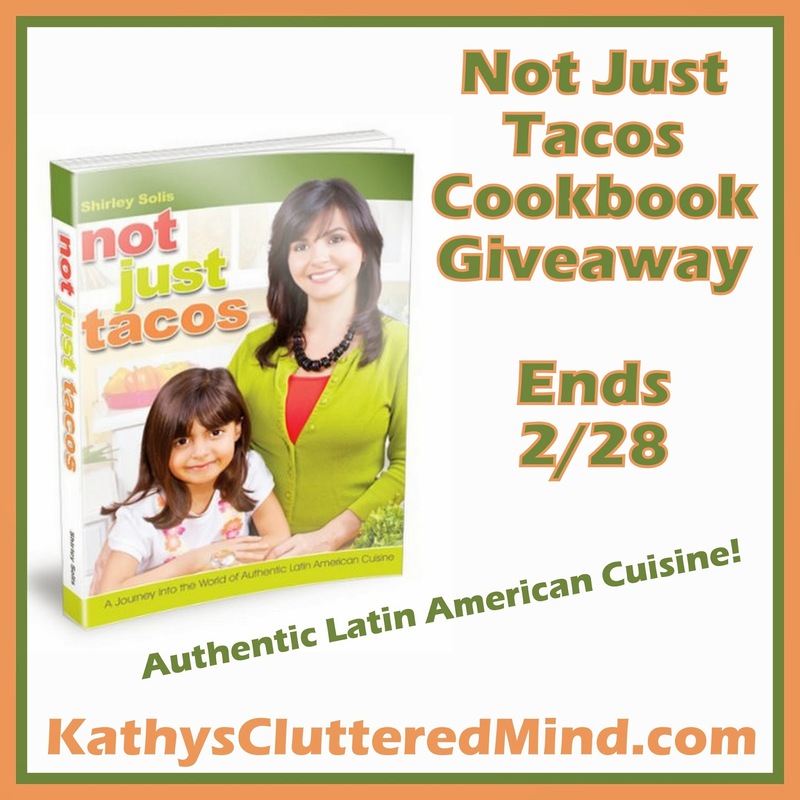 Kathys Cluttered Mind is providing a hard copy of Not Just Tacos to one reader. All entries are optional, each entry option gives you more chances to win. This giveaway is not affiliated with Facebook in any way. The winner will be posted on the blog and will be emailed. Winner must reply within 24 hrs with their contact information or another winner will be chosen. Prize will be mailed via USPS (USA only). Be sure to head over to Inspired Bloggers Network to enter the Favado and $5 Dinners Giveaway. Also enter these great giveaways from my blogger friends! Well... I guess my very favorite ethnic cuisine is a simple burrito. You can go hundreds of ways with it! Yum, I have too many - Mexican, Italian, Indian, and Mediterranean top the list!